The Membership CD Has Finally Arrived! Finally! I’ve longed for the members only CD from the Hanson fanclub, couldn’t wait to hold it in my hands – and today I finally found it in my letterbox! And because the CD was so delayed this year, Hanson sent another little thing as well, as compensation – so now I have a specially designed key ring. 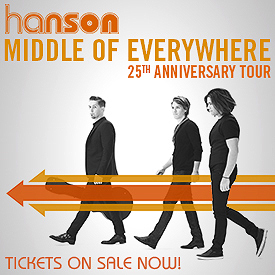 I have finally placed my order at Hanson.net. I ordered the DVD “Strong Enough to Break”, two albums and one top. I got some digital downloads for free too, so now I’m listening to and watching the video where they are singing “Carry You There”. It’s a great song.